The episode starts with a Nora voiceover about secrets. It’s actually a transmission that Gideon is sending to the Reverse Flash for Nora. 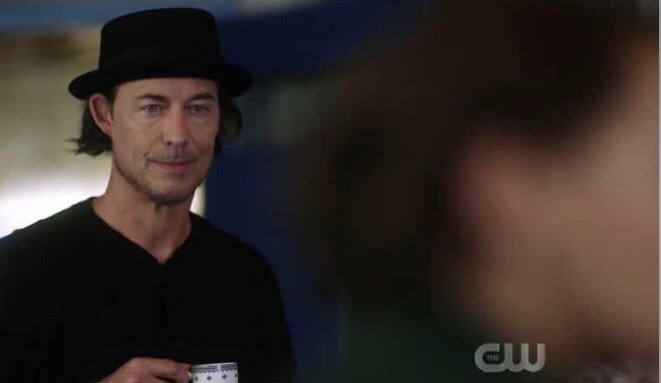 Team Flash is at an ice-skating rink. Nora isn’t very good, Ralph has a helmet, and Sherloque is extraordinarily graceful. Iris and Ralph talk about how one of his neighbors has died and she can now use the space as a newspaper office. Sherloque got a package, so they all have to go. It’s a memory machine. When someone goes into a coma, different parts of their brain are active. In Grace’s case, her consciousness is entirely locked into her long-term memories. They’ll have to travel in pairs, but as a side effect, will have access to each other’s memories. That’s how Sherloque found out Watson was having an affair with his fourth wife. What they’ll need to do to access Grace’s memories is to put a transceiver disk on her EEG machine in the hospital. Ralph wants Cisco to vibe an informant for him. 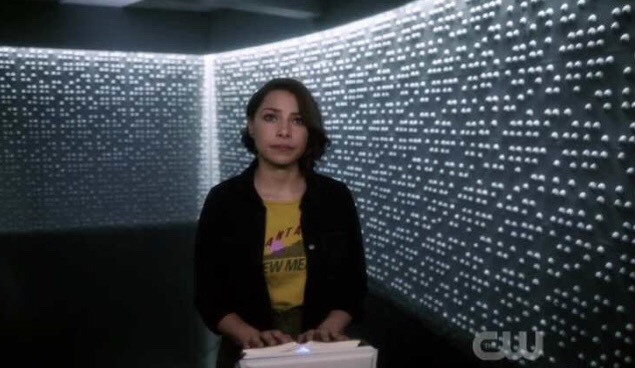 Nora needs to know how to hack the machine. After all, Sherloque volunteered her and Barry to go in. Gideon tells her that there is always a risk. Nora decides to go in alone. She comes out inside CCPD right after Grace’s parents’ deaths. Grace’s consciousness can see Nora, but Nora’s portal out closes, leaving them both trapped. They need another way out. Iris is talking to a lawyer to find a name for her newspaper. The only one open is the Central City Citizen and she’s afraid that the timing isn’t right. Sherloque calls about Nora. 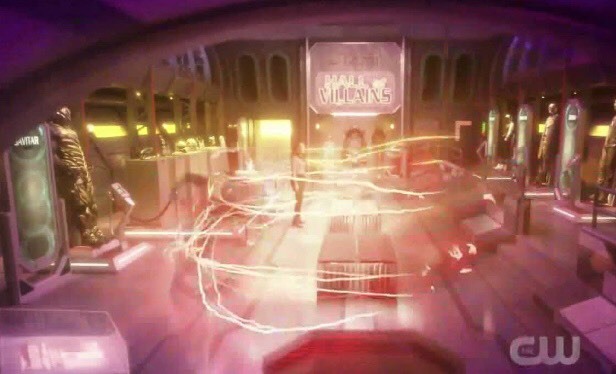 Caitlin explains that the special way the Grace’s brain has been damaged, she has put out a defense mechanism to keep out outsiders. This involves quarantine and then elimination of the intruder. Sherloque explains that when Watson went in alone trying to catch a Batman villain, he ended up brain dead. Iris and Barry want to go in after her. Grace and Nora go into another memory. Orlin is making pancakes at their house. Cisco and Ralph talk to the informant, who does not in actuality know anything. 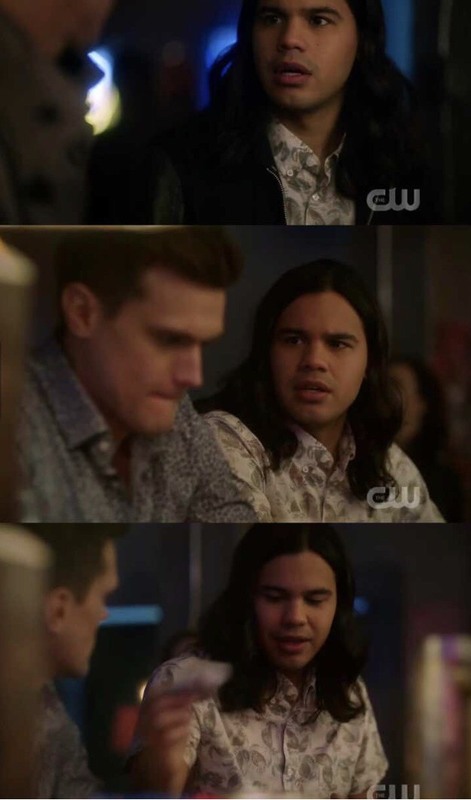 Ralph offers to buy Cisco a drink anyway. Barry and Iris go in, but they don’t end up in Grace’s memories. They end up in Nora’s. They have to find a portal to Grace’s mind. 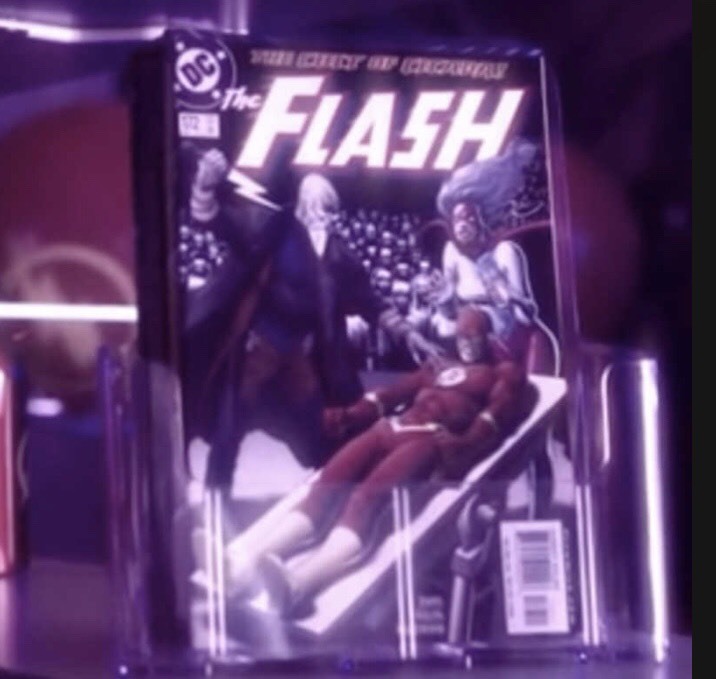 They go from CCPD to the Flash Museum, which is in S.T.A.R. Labs. Besides the massive amount of merch, there is a Flash comic with Cicada on it. Orlin is now burning pancakes, and it’s the day of the fair. Nora asks Grace to take her to the last place that she remembers. It’s singles night at the bar and Cisco is ticked. He thinks that Ralph brought him to be a wingman. Barry and Iris are in the Hall of Villains hearing about Cicada’s impressive body count after a bit of a break. Then Future Iris walks in. Grace’s last memory isn’t the fair. It’s when Orlin got the dagger. She can hear everything that’s been going on. She knows about Nora and Barry and she hates metas too. I don’t deal well with the creepy kid stuff, but we have a budding supervillain on our hands! She thinks that Cicada is a hero and then he enters and tries to kill Nora. Future Iris gets very angry with Nora and breaks her action figure. Iris is having a hard time processing this. She tells Barry that she’s afraid to start the paper because that’s the paper that writes the article that they’ve all been looking at. 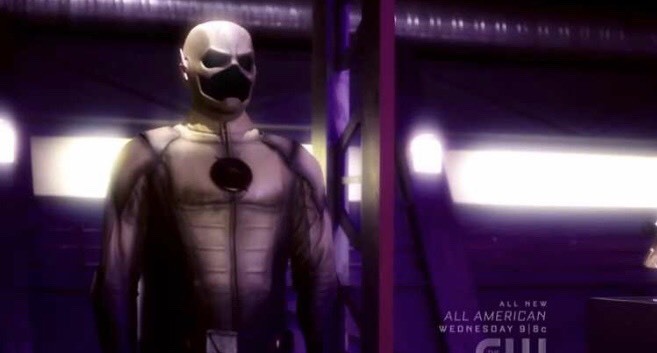 Then the Reverse Flash suit starts looking at them. Ralph and Cisco talk. Cisco starts using dangerously naïve language to talk about his cure and Ralph says he just wanted to hang out. I’m with Ralph on this one. Stay away from the cure. Not that it helps. Cisco gets an idea from talking to the bartender. He can use sibling DNA to separate the meta gene. Barry and Iris see the Reverse Flash suit move and hide. Cicada is still hunting down Nora. Sherloque and Nora decide that they need to do something. Pronto. Nora gets a phone call from Caitlin, who then loops in Barry and Iris. There are portals in perception gaps, or false memories. Then she has to go because the device she’s using is smoking. Nora makes her way back to the pancake memory, where Cicada stabs Orlin in the back. 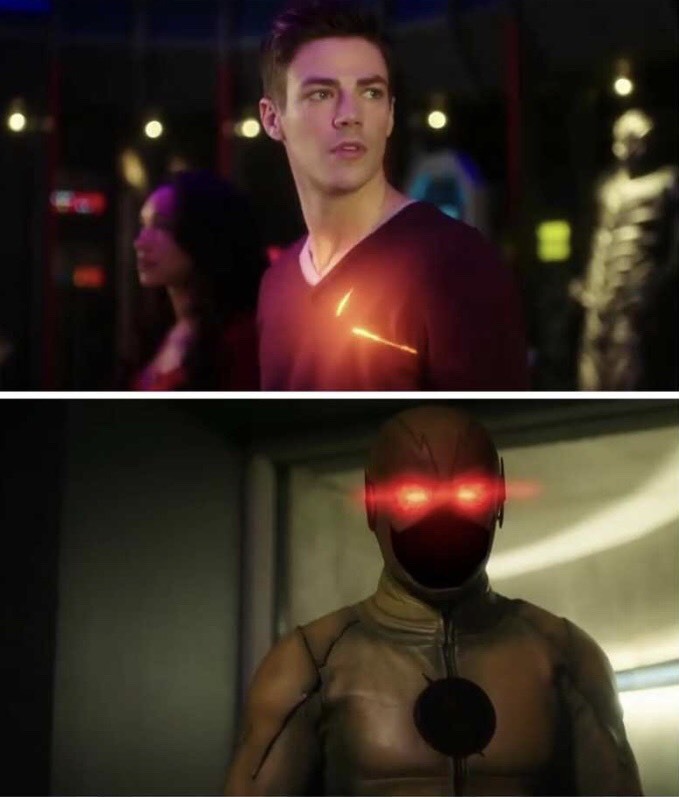 Barry and the Reverse Flash chase each other around. The Reverse Flash taunts Barry until Iris vaporizes him with the Thinker’s chair. A portal opens up in Grace’s memory. 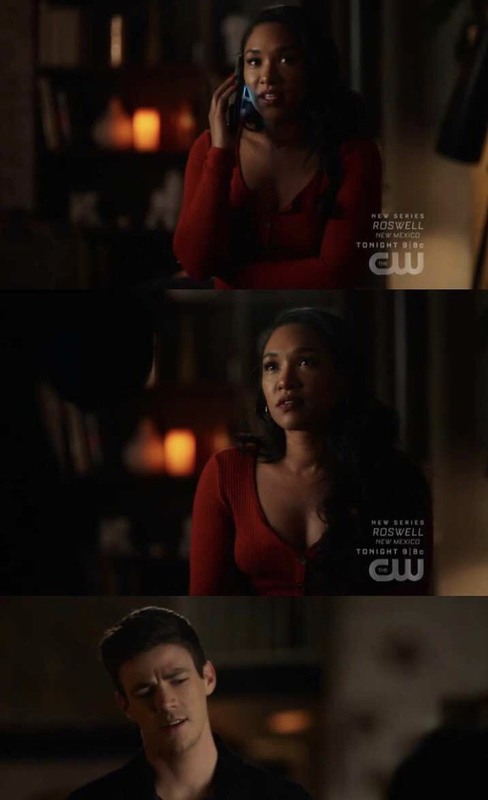 We get to see Nora’s real memory, which is much sweeter and exactly what Iris needs. Then a portal opens. Nora asks Grace to wake up, but Cicada comes back. It isn’t the same Cicada. It’s Grace, all grown up. 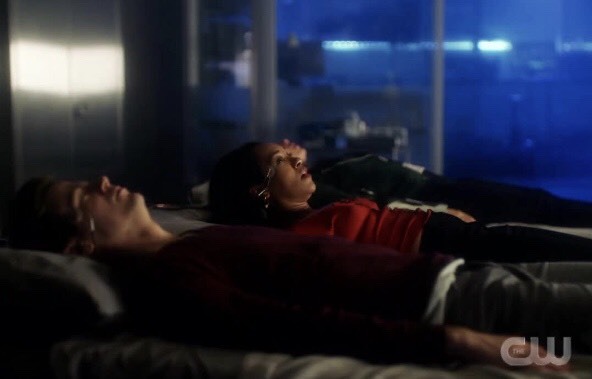 Barry and Iris manage to portal in and save Nora so that they can all wake up. Caitlin explains that they can’t go back in because the dark matter has created a barrier around Grace’s brain. Sherloque almost outs Nora’s secret, but doesn’t. he does ask Barry what Nora’s defense mechanism was after everyone else leaves. When Barry tells him about the Reverse Flash suit, Sherloque doesn’t seem too surprised. Family Westallen has a party in Iris’s new office. 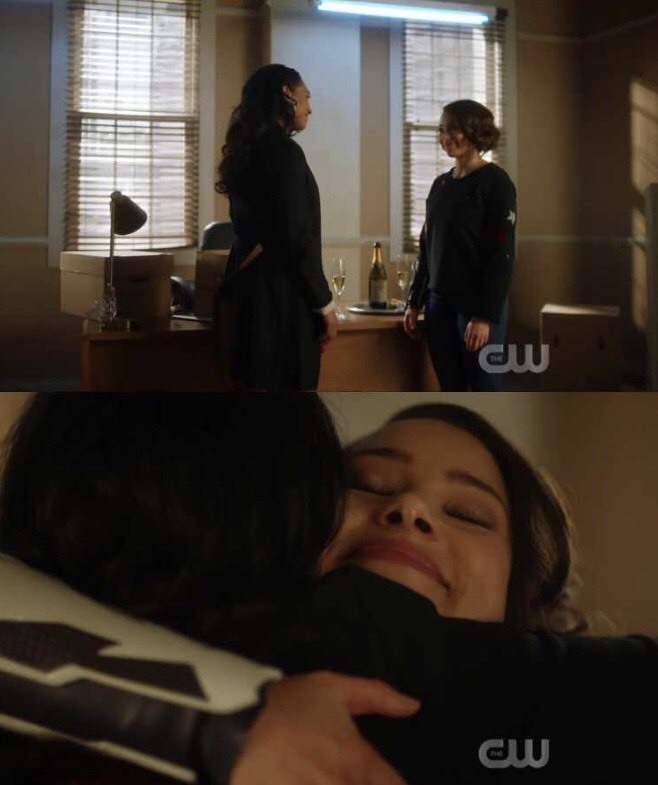 Nora shows her that the paper didn’t originally start for two more years, so Iris is already changing the future. Barry leaves and the girls full on talk. Nora apologizes for taking everything out on Iris in the present and the future. Iris says that she will always love Nora. Another Nora voiceover. She will do anything to protect her family, but no one can know. Grace is talking to her Cicada. They are all going to pay, once she’s old enough and wakes up of course. 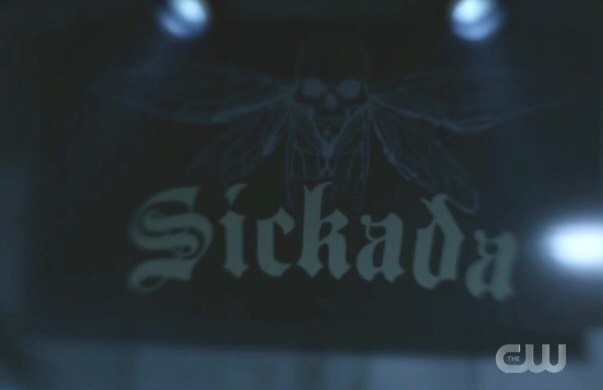 Cisco located a pair of meta siblings and Barry wants to use the cure on Cicada. So much for the never forcing the cure on anyone thing. 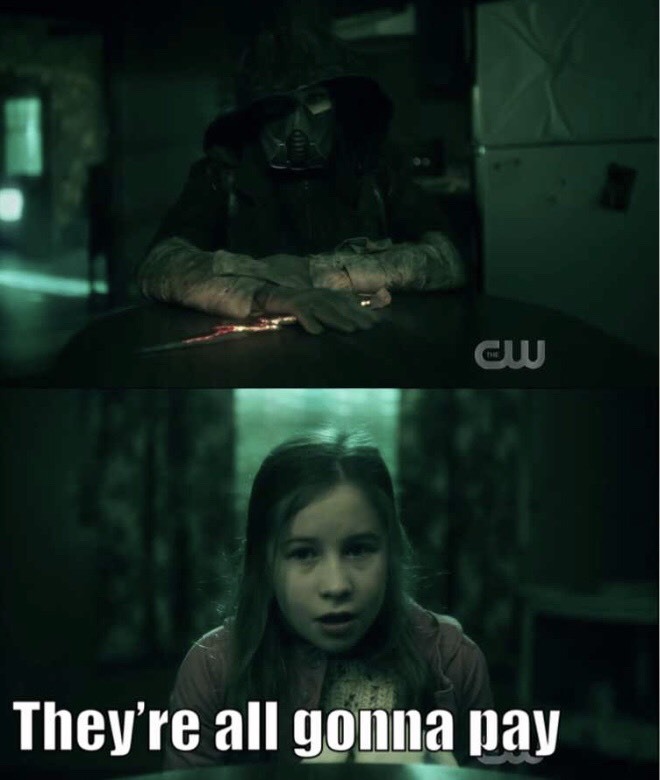 I don’t do well with the creepy kids thing, I hate the rationalizations Cisco is using, and Barry and Iris couldn’t figure out Nora’s secret while in her brain. Apart from the revelation that there are two Cicadas, this episode didn’t do too terribly much for me. 7/10.